Automobiles or four-wheelers are the utmost necessity for every single person on this planet. People buy these products to get ease with the transportation facilities. Since the early inventions of this motorized equipment, you all have configured drastic changes in their designing, colors, features, engines, and speed. From sedans, hatchbacks and SUV’s they all have a special ability which attracts people across the globe. You all must have one or the other brands in your likings but people select the one with the best and the leading features. The year 2018 has arrived and here you get the best trending technologies which might make you wow on featuring them. Most of the med-tech companies across the globe are planning or have planned to get set with these in their respective automotive. The top one listed till date is the wireless charging system for your smartphones enabled vehicles. The smartphone is the only gadget which can be seen in every hand and people will go crazy if they lost it and even crazier when the battery goes down. Earlier most of the vehicles provide you with a mobile charging point through which you can get your device charges. But not time is changing and the things are getting wireless. All you have to do is to get in the car place your device on the charging pad at the center of the console or other interiors of your vehicle. 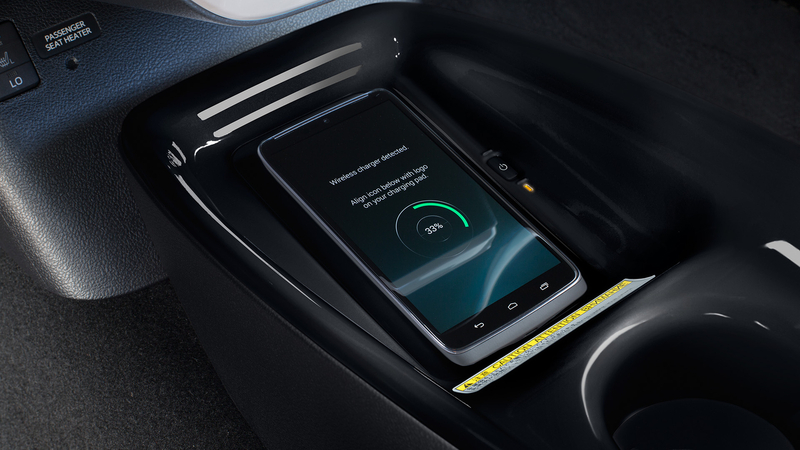 Your device will charge automatically while you drive for home, office or even far place on the earth. Mobile charging cords always solve your purpose but what if there are three to four people standing with the same problem. How many charging cords can you adjust with a single port? Here, the ideas of wireless charging ports work perfectly. It will overcome the need for extra USB ports and allow you to the wireless charging system. This system may not be that expensive and even most of the brands like Toyota include these features in their cars. It’s alright that you do not need such system but this feature I seriously overwhelming and appreciated by the Auto Geeks. With the Bluetooth connectivity, you can talk, hear songs and perform all the necessary tasks easily. Since its invention, this technology is getting smarter day by day. Earlier people faced the problem while pairing the device, device not found, passwords on Bluetooth; all these stuff irritated the most. But now it’s not the same as all these things are the bygone talks. Honda Accord has come up with the latest feature where you just have to tap your device at a particular spot on the dashboard and without any searching or pairing, your device will connect to the Bluetooth. This Bluetooth technology may not be new but it created very hassle while you have to waste the time on getting the right connections. The time when you drive the car for a smaller trip and there is an emergency call that you can’t miss, just apply the smarter Bluetooth connection.